Save fuel and stay in compliance with anti-idling laws. 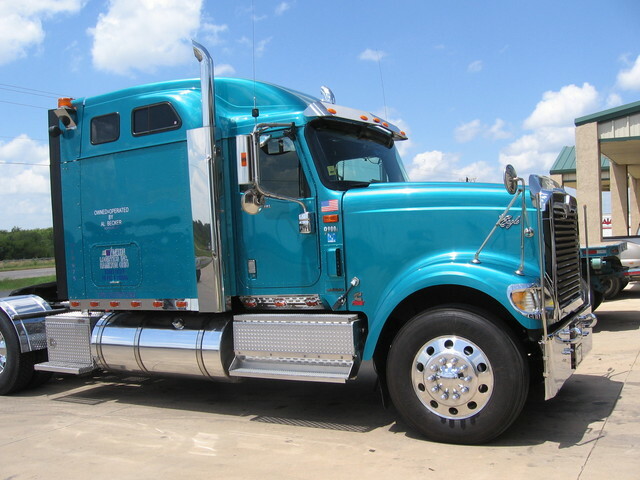 Centramatic's APU's, air conditioning and heating systems are specifically designed for use in the trucking industry. Use of such systems for cab comfort and convenience comply with anti-idling laws and use roughly 75% less fuel as compared to idling the trucks primary engine. Increasing air quality legislation and local enforcement, coupled with soaring fuel costs have greatly increased APU demand. Click to find out about our financing options. Engine Detail: Designed with 4 cycle, 2 cylinder water cooled Kubota Diesel. 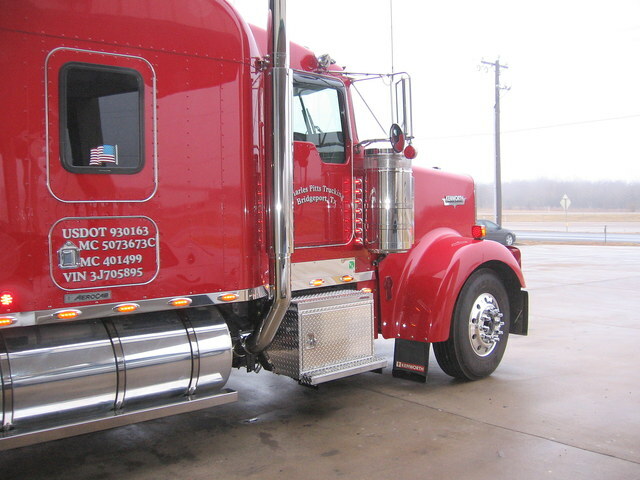 Lube oil capacity of 4 qts., average diesel consumption is 0.16 gal./hrs./per kilowatt hr. Recommended normal oil change interval of 500 hours. Microprocessor controls glow plugs to automatically cycle. Starting system is 12 volt. High capacity oil filter is remote mounted. Extended life, washable, reusable K&N air filter is located for easy access; also contains noise isolation foam baffle. In addition, for added cooling capacity, an all-welded aluminum high capacity radiator is mounted outside on vibration isolators with rock guard protection and airflow is provided from a five-blade engine driven reverse air flow cooling fan. This unit operates independently of the truck Freon or cooling systems. Diesel fuel system is comprised of a mechanical primary and electrical self-priming lift pump with a self-indicting fuel filter. Generator: Markon/Cummins belt driven 6000 watt, 120 volt brushless generator; rated for continuous duty. Automatic Shut Down: Microprocessor controlled high temperature and low oil pressure automatic shut downs are built in for system protection. 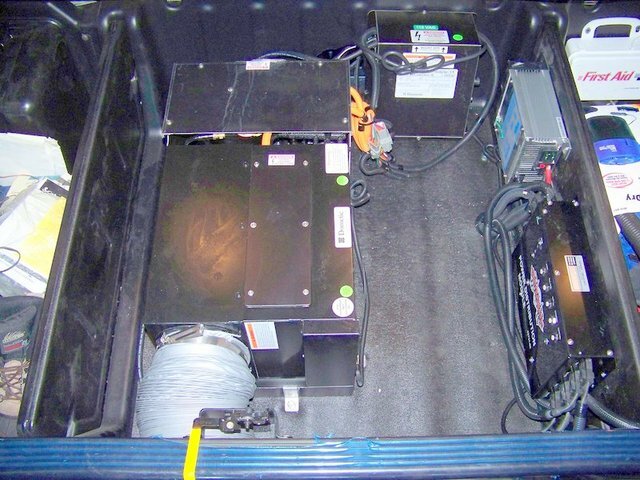 Battery Charger: Connected to the truck battery. 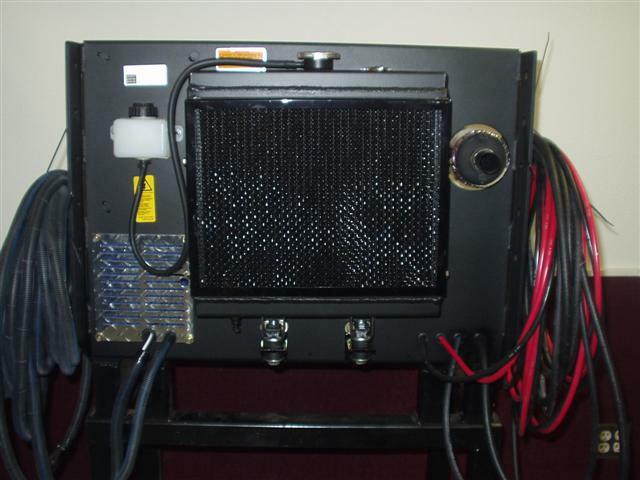 Power available for battery charging and electrical accessories; 60 amp, 12 volt solid state. 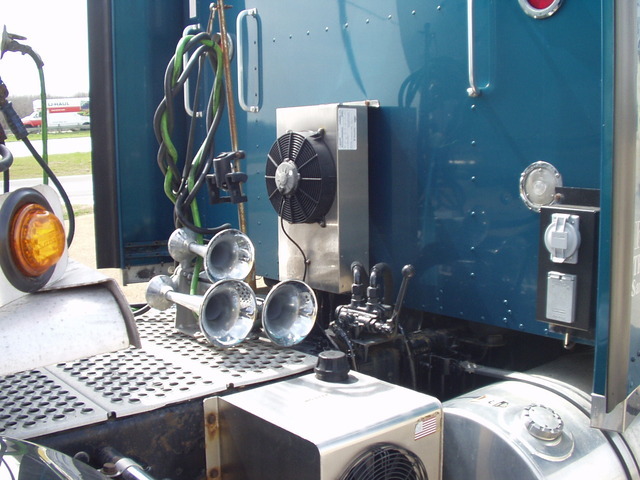 Block Heater: APU can supply AC power to the electric block heater if the truck engine is so equipped. Auto Start: Allows for unattended automatic battery monitoring and charging. Remote Control Module: Allows remote operation of APU from the sleeper and monitoring of all AC circuit breakers status by LEDs. 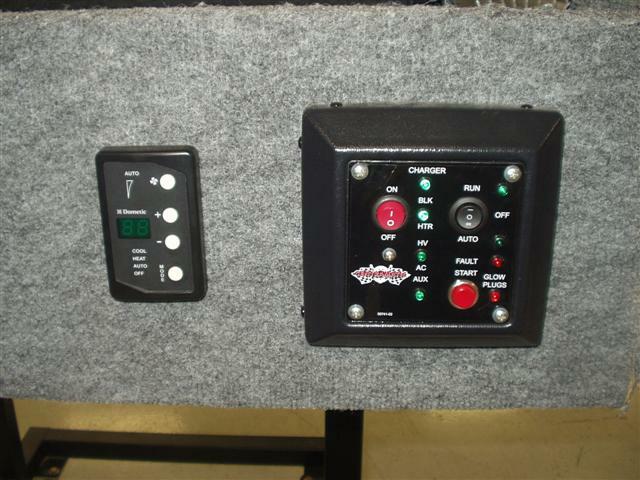 Shore Power Module: Allows full function of cab conveniences through 30 amp RV shore power source. Power Distribution Module (PDM): Mounted in sleeper; provides AC power from the 6000 watt generator or the Shore Power module and is distributed through the PDM circuit breakers to the charger, HVAC unit, block heater and accessories. Cover: Polished Diamond Plate Cover with door lock. User Friendly: Product comes with required installation hardware and instructions to complete most installations. 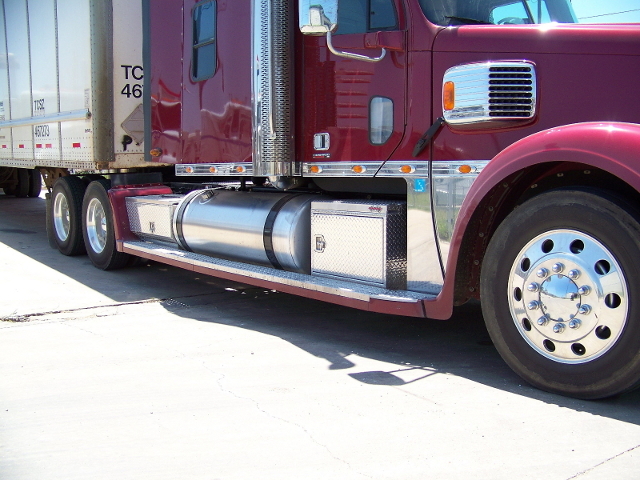 30 inches of under-cab or frame access will be required for installation. 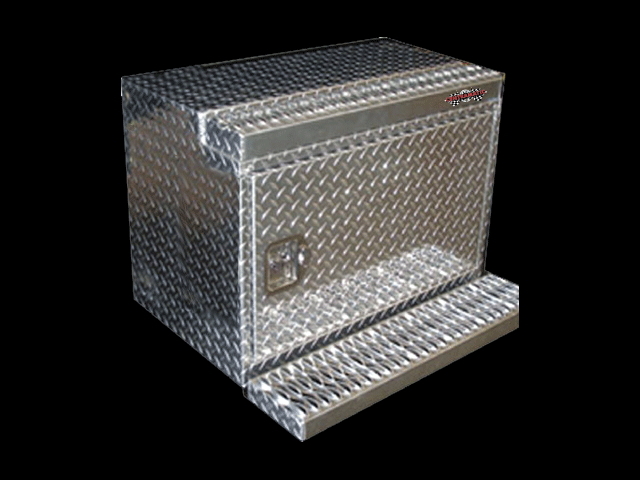 The lockable access door provides security and easy access for checking oil levels, fuel filter, drive belt tension, and starting the unit from outside. Heating: Fully electrical, thermostatically controlled. Runs off the APU or Shore Power. Heat provided by 2500 watt heat strips. Ventilation: Is provided by a multi-speed high capacity 450 cfm blower to reduce air stratification in sleeper. Air Conditioning: Fully electric space saving split system. Evaporator/compressor is located inside with an outside mounted condenser. 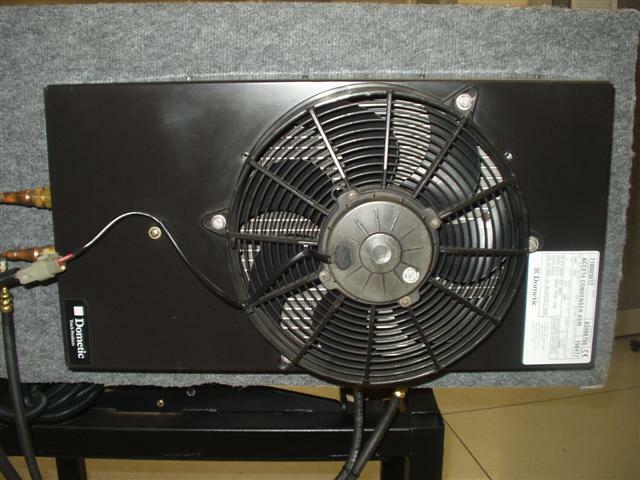 Runs off the APU or Shore Power with 14000 BTUs cooling, produced by a high capacity 110 volt electric compressor. Digital Thermostat: Conveniently located in sleeper to thermostatically control heating, ventilation and air conditioning. OIL CHANGE INTERVAL: 500 hrs. RAIL SPACE: Requires approx. 30"
TOTAL SYSTEM WEIGHT: 560 lbs. 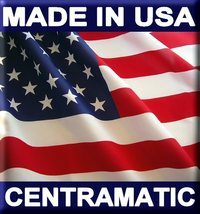 Actual rating will vary with options, operating conditions, operating habits.